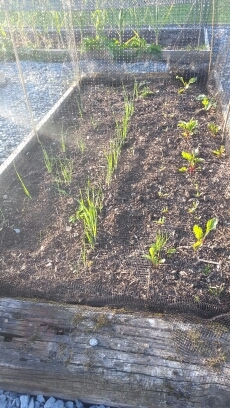 After some poor early results the new raised beds are looking a little more respectable these days. There has been a surprisingly low success rate with some of the seeds I’ve planted which has meant some extra later planting to fill in the gaps. This is a little annoying but I enjoy sowing seeds so it’s been good to get some seeds in while there is still time left this year. There were some small instances of problems with chickens, birds and other wildlife helping themselves but that wasn’t the biggest issue for me. I still haven’t decided whether the seed company I used this year are to blame for dodgy seeds or if the problem is with the “dumpy” bags of compost I had delivered to fill these new raised beds. My suspicions are that the bulk compost prices are a false economy and this is supported by the fact that a fair percentage of the seeds do germinate. After a promisingly organised start to the year I’ve realised that lolly sticks are just not up to the job of labelling where seeds have been sown. 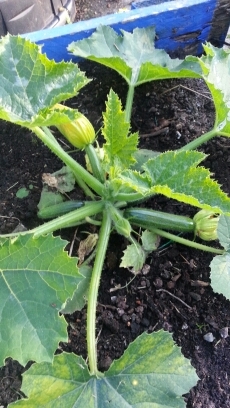 The writing gets dirty or fades too quickly so for a while I was left with small squash and courgette plants but no way for a beginner like me to tell them apart. Luckily as the plants get bigger the difference becomes more obvious but I’ve learnt that lesson now. I recently bought some proper black plant labels which come with a white pen – just like the professionals! I’ve been very impressed with the prompt delivery from Harrod Horticulture but I’m not sure they are always the cheapest for everything. 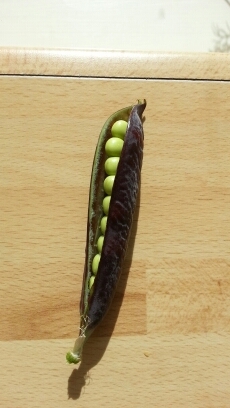 It seems that peas do well here but the results would have been even more impressive if I had spaced the plants out a little more and provided some better support while they were growing. 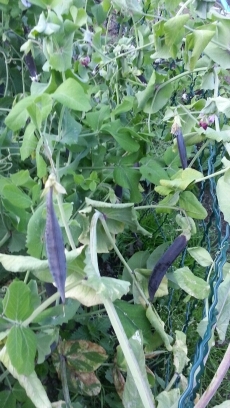 This variety has purple pods which I really like as it helps with finding and picking them when the time is right. 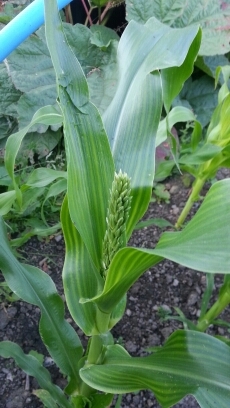 And last but not least, the sweetcorn is looking quite good at the moment. If I’m honest though this is the only plant which is this advanced!